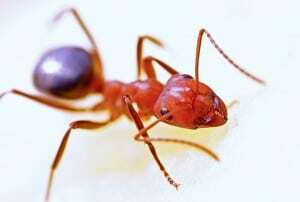 Home:Ants, Blog:How Much Do You Really Know About Fire Ants? Although they’re small, fire ants wreak havoc here in Houston. The weather can be more volatile in the late summer, and flooding often pushes fire ants out of their nests and into our yards, or sometimes, our homes. This causes safety concerns for anyone (or anything) that comes in contact with them. Our quiz is full of the most common questions and concerns about fire ants. Test your skills to find out how much you really know about these tiny, yet temperamental insects! How did you do? Check out our pest library to learn more about red fire ants and other common Houston pests. If you are having issues with fire ants on your property and want some more information on what you can do to control them, contact Holder’s today!